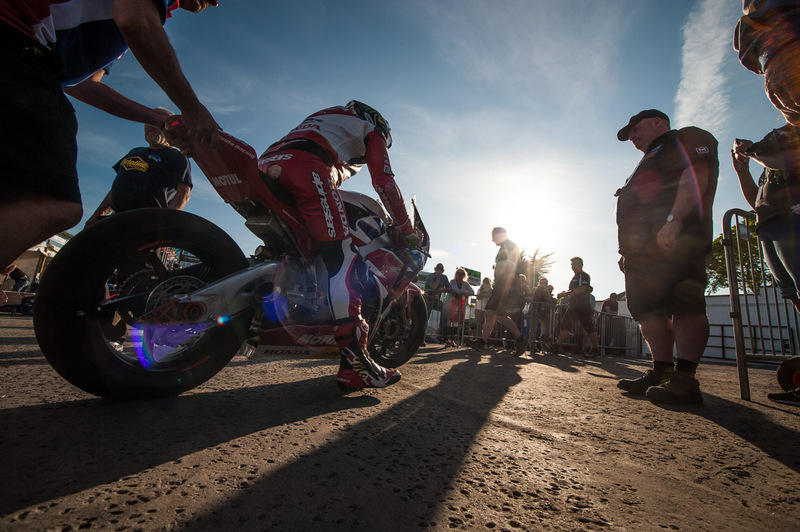 Since my last update from the Isle of Man TT, the sun has continued to shine and the speeds have continued to rise. After spending Tuesday evening in and around the paddock, I headed out to the K-Tree, just outside Ramsey, for Wednesday’s practice. Also known as Lezayre Church or the Conkerfields, the K-Tree has become very popular in recent years. Some of the most spectacular slow motion footage from the last few years has been filmed there. For your viewing pleasure, I’ve also included in this post a selection from Tuesday evening’s session in the paddock. 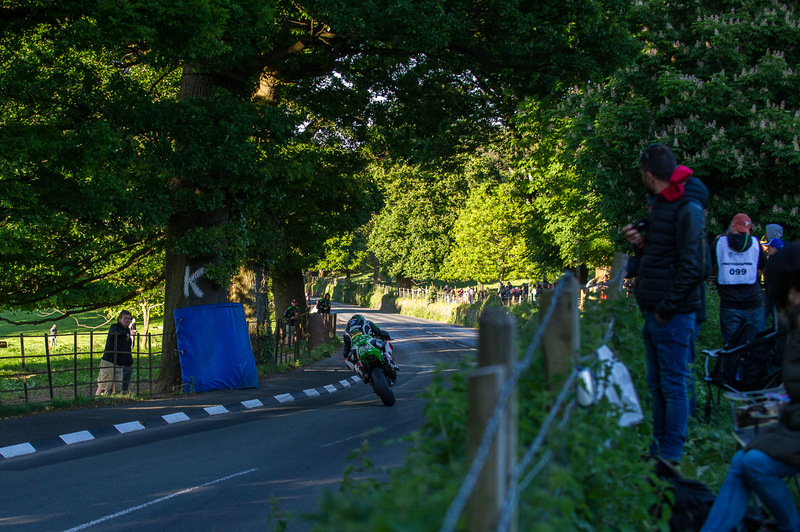 Above: James Hillier on the back wheel at the K-Tree. 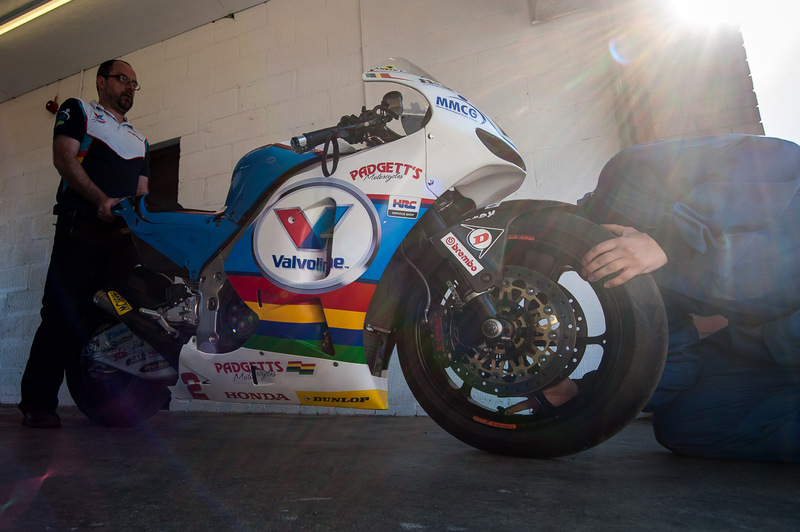 Bruce Anstey’s Honda RC213V-S goes through scrutineering. 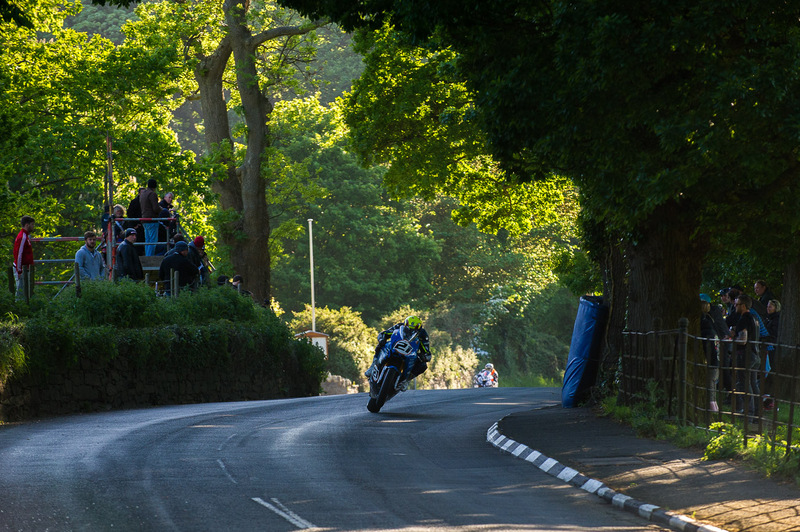 Peter Hickman, and the reason they call it “K” tree. 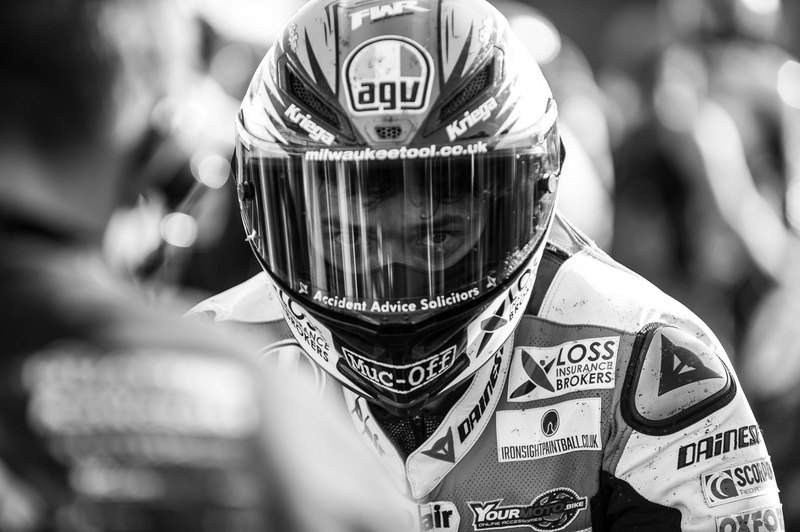 The always distinguishable helmet design of Lee Johnston. 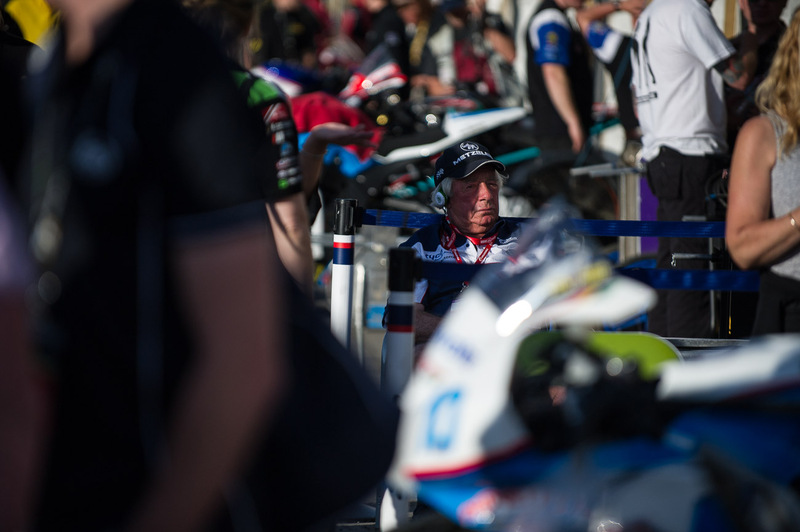 Tyco BMW boss, Hector Neil. Alan Bonner and Jamie Coward prepare to leave the line on Tuesday evening. 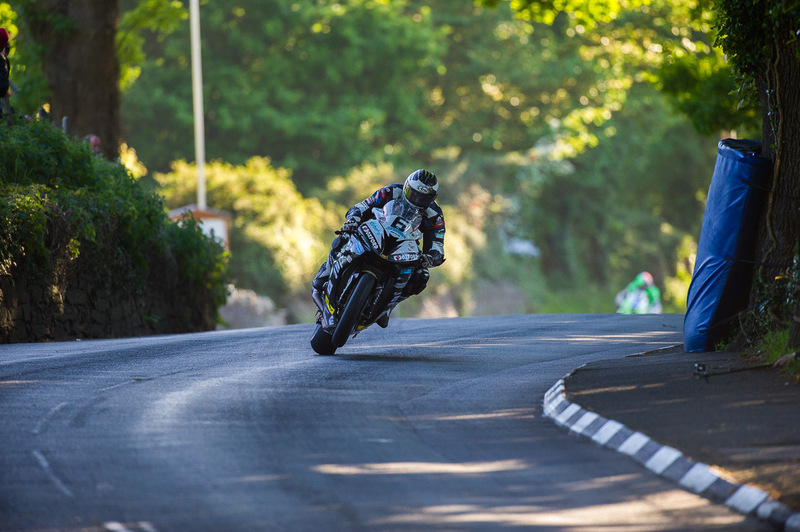 Michael Dunlop leads the Superbike leaderboard, with 131.574 mph lap set on Wednesday evening. 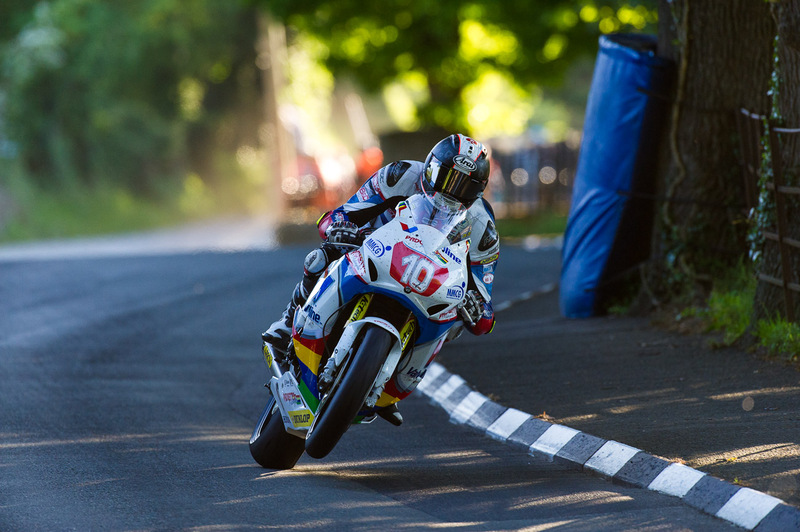 Michael Rutter, with more than a few bug strikes. 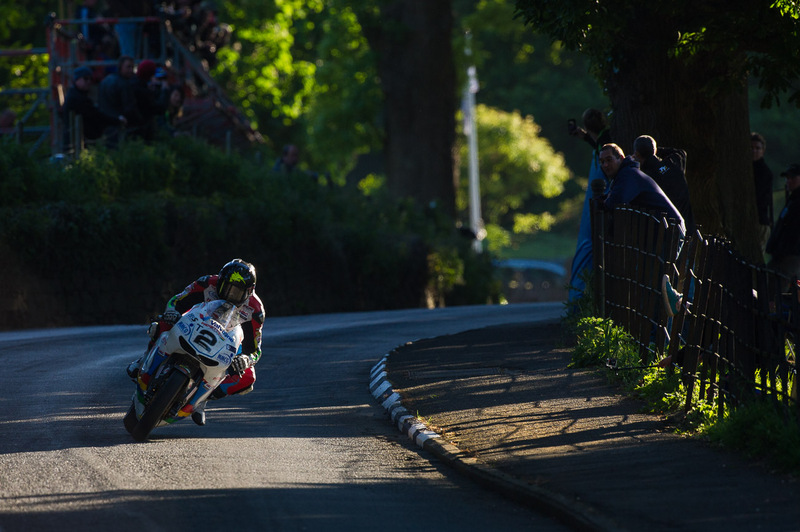 Bruce Anstey on the Honda RC213V-S has been a real aural delight. 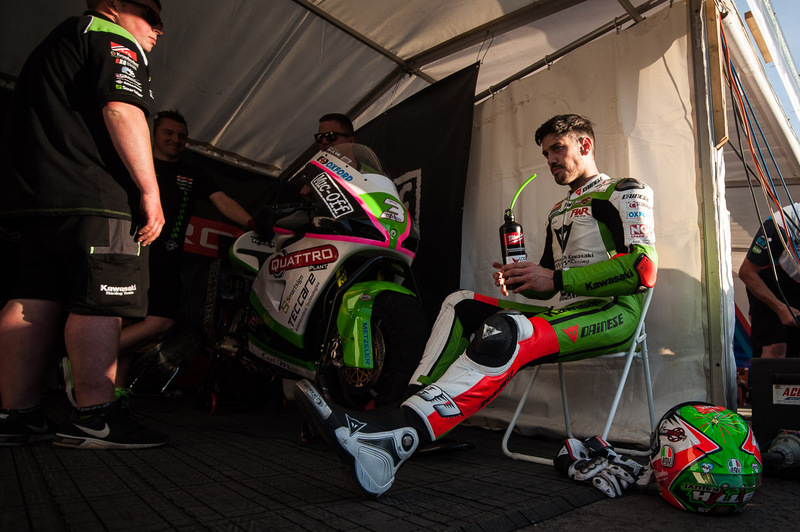 James Hillier takes a few minutes after Tuesday’s Superbike pracice, before heading out on his Lightweight Kawasaki. Local man Conor Cummins gets the front wheel up on his Fireblade. 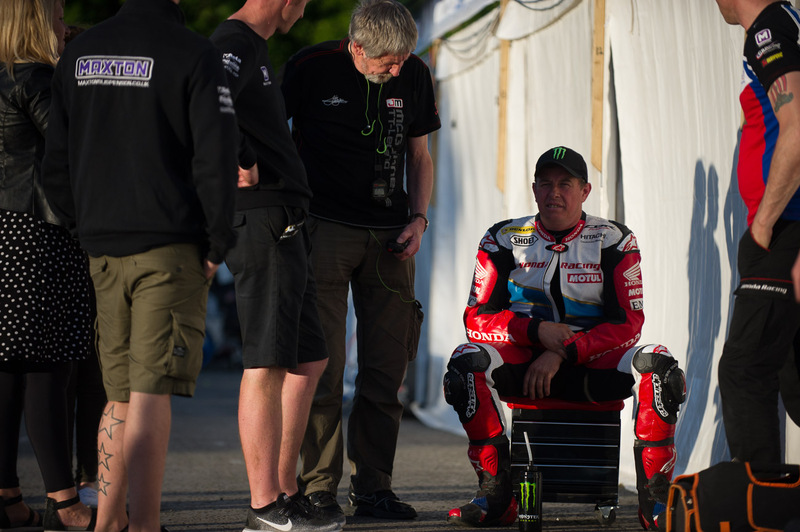 John McGuinness at the end of Tuesday evening’s practice. 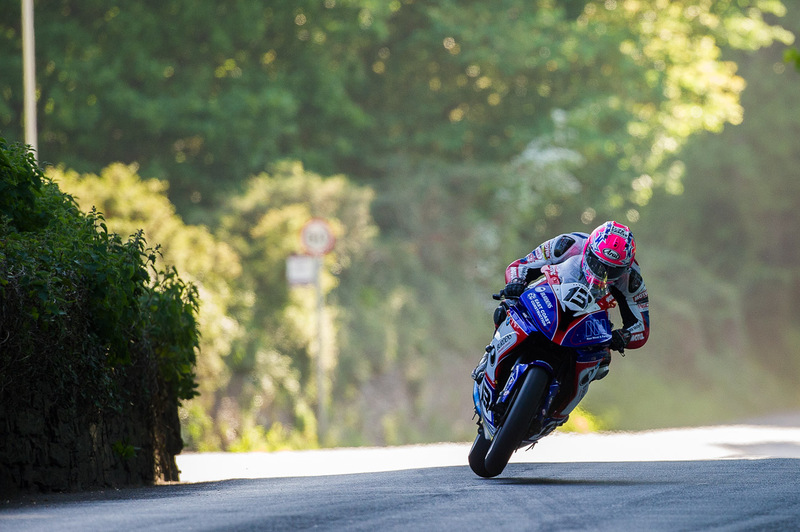 Ian Hutchinson on his Superstock Tyco BMW. 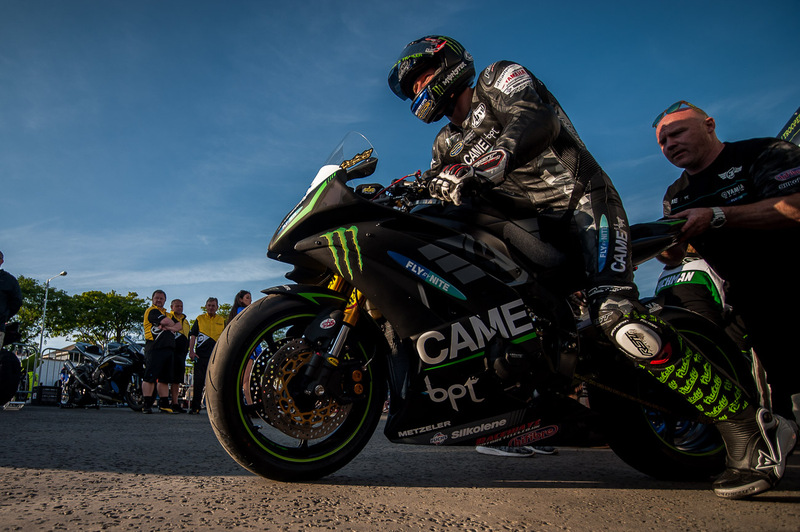 He currently heads the Superstock class at 130.691mph. 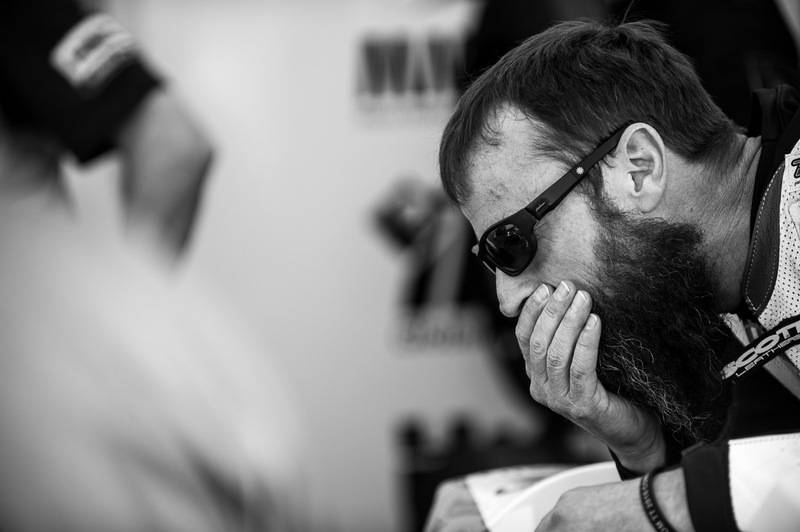 Bruce Anstey and the beard. 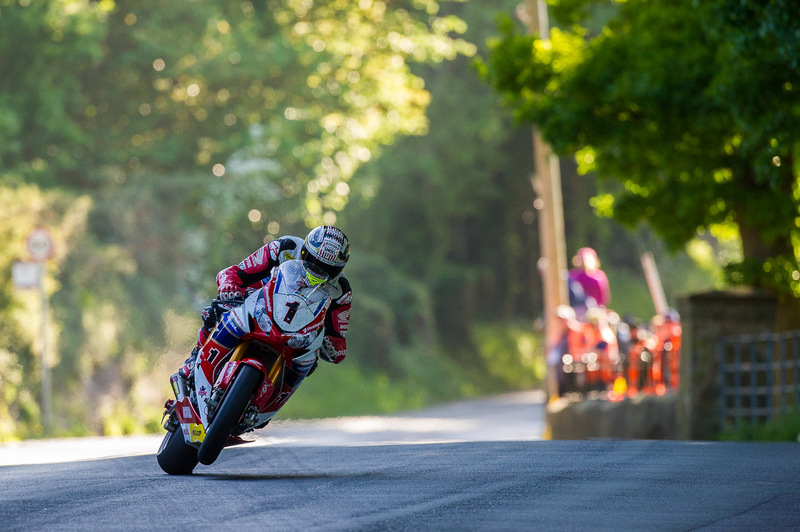 John McGuinness on his Superbike. 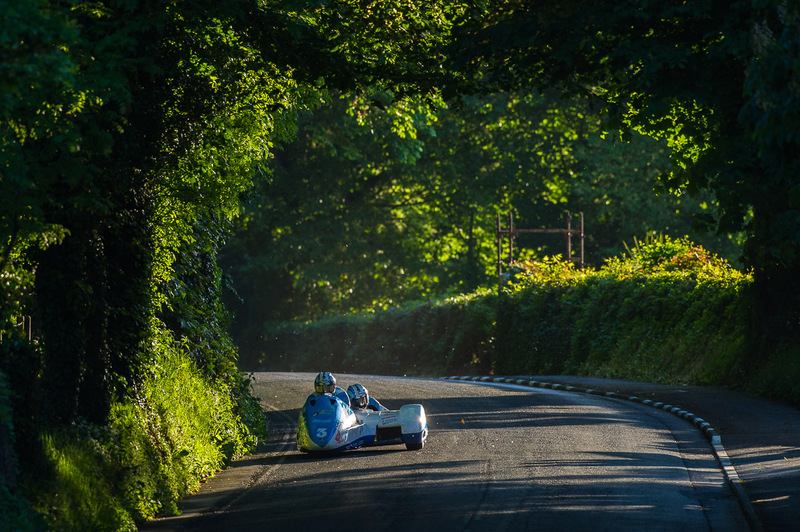 John Holden and Andy Winkle are setting the sidecar pace in practice. 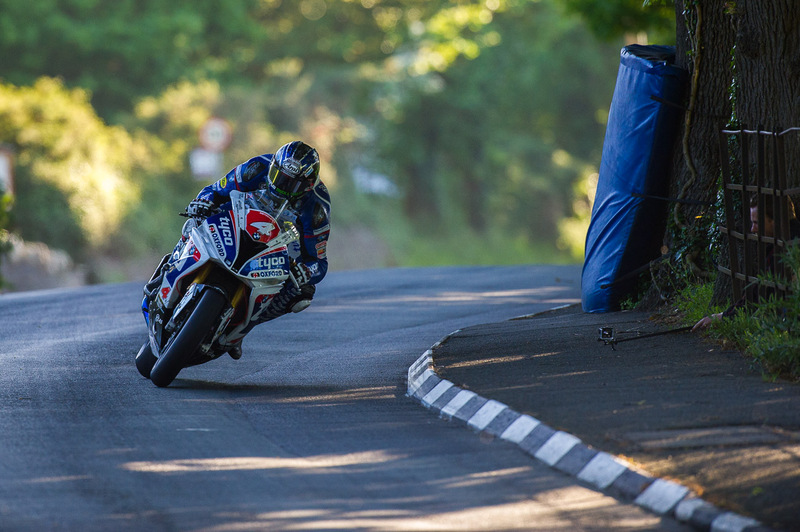 Ian Hutchinson taking off on his Supersport Yamaha YZF-R6. Ian Lougher on the 500cc two-stroke Suter MMX 500. 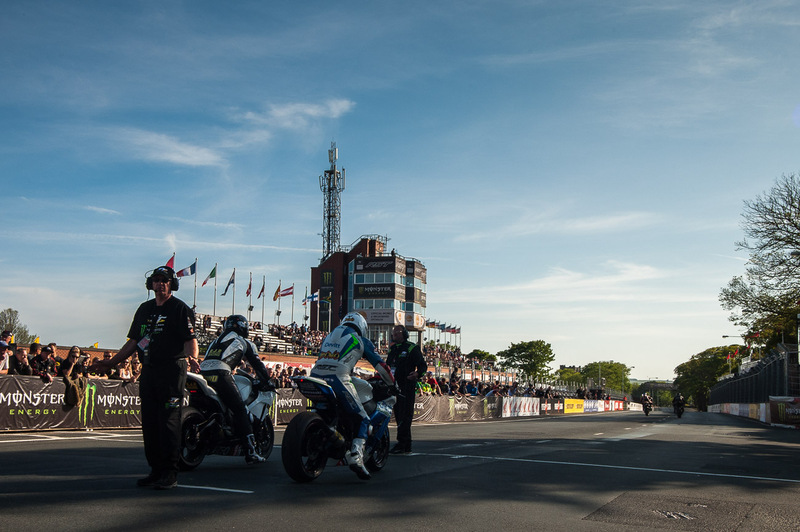 Tony Goldsmith is an Isle of Man based freelance motorcycle racing photographer specialising in MotoGP and the Isle of Man TT races. His website can be found at www.tonygoldsmith.net. He can also be found on Facebook and Twitter.